I LOVE MAKEUP!!! I want to say that first because makeup is not something I do for status. Makeup to me is an art and the gratification comes through the emotional response it invokes. As a celebrity makeup artist, I have touched some of the most beautiful people, but there have always been those icons who I wish I could makeover. So I thought let’s make it fun and do a makeover series on a budget based on my favorite icons using L’OREAL Paris products. The most famous respected and powerful woman in the fashion industry is British born Anna Wintour, the editor-in-chief of American Vogue. She is a fashion institution and icon who is first on my list. Anna Wintour may occupy the most powerful seat in fashion but not much is known about how she feels about makeup. Being a global brand, setting trends, anointing new designers, I’m sure she could inspire the beauty industry and editors, so let’s give her the opportunity. 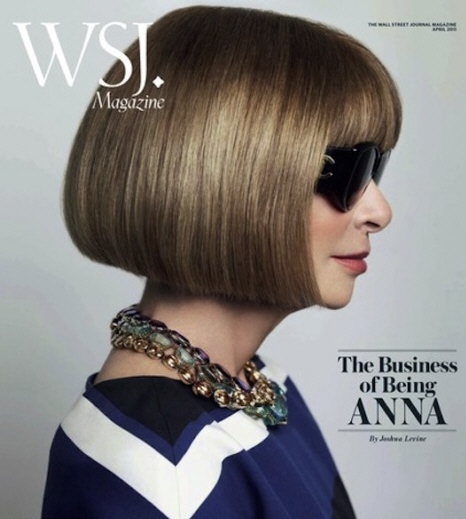 Though known for her perfectly manicured pageboy bob haircut, her dark sunglasses, her Chanel suits, her impressive knowledge of fashion, and her cold stare that would be sure to make Fashion Publicist Kelly Cutrone (if you have to cry, go outside) look like a pushover, Anna Wintour has a subtle beauty look that delicately enhances the features she chooses to accentuate. First things first, budget is not a dirty word. Think of the word budget as a synonym for smart. 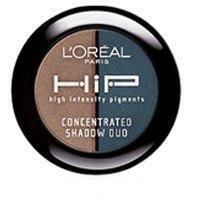 And being a L’OREAL Paris Pro Makeup Artist, I will re-makeover an icon Anna Wintour’s signature makeup look on a budget with another icon L’OREAL Paris products. Anna Wintour understands the fashion industry taking a hit and no longer being easy on the wallet so she spearheaded NYC Fashion Night Out. So I thought why not recreate her signature makeup look on a budget. 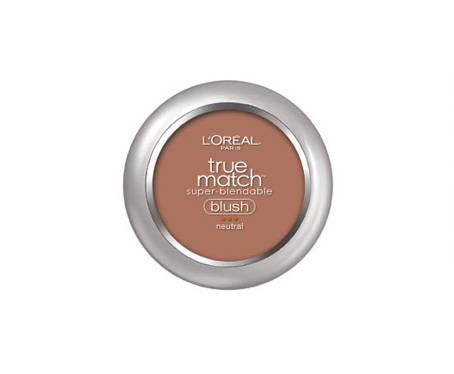 If ever I get the call to do Anna Wintour’s makeup I already know what L’OREAL Paris makeup I would use to achieve her signature look. 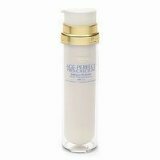 The Age Perfect Radiance Perfector Sheer Tinted Moisturizer will hydrate her skin giving her an instant sheer tint for a radiant glow. 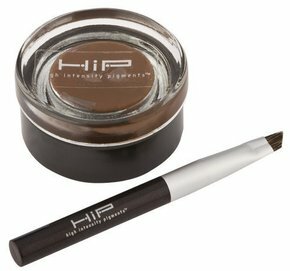 I also selected our Age Perfect Eye cream to rejuvenate, improve elasticity, promote resiliency and refine the delicate skin around her eyes. 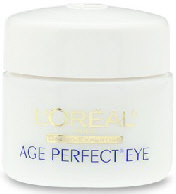 I also selected our Age Perfect Eye Cream to rejuvenate, improve elasticity, promote resiliency and refine the delicate skin around her eyes. 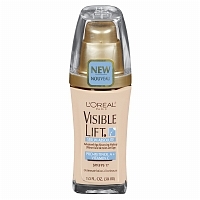 Visible Lift Serum Absolute Makeup is a luxuriously lightweight foundation that will not settle into the lines and wrinkles. In 4 weeks Anna would see smoother, firmer, brighter, even, flawless skin. 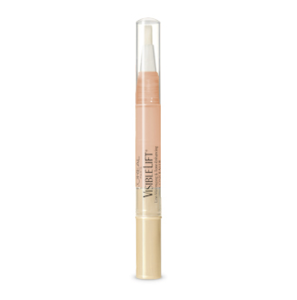 Visible Lift Line Minimizing Concealer is perfect to cover dark circles. 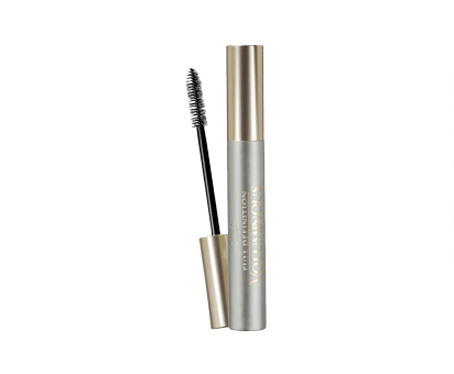 Because Anna works longs hours and days, if used daily, she would start to see a reduction in under-eye puffiness in the first two weeks while improving under eye radiance. 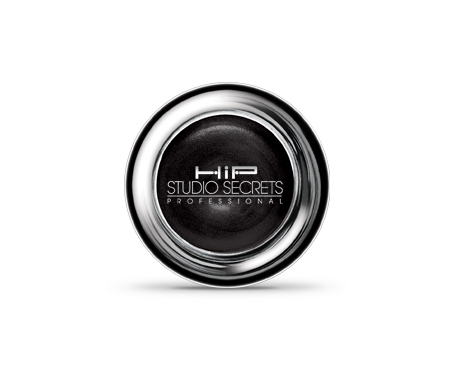 Visible Lift Line Minimizing Powder used to set her foundation is a silky powder that will not leave her skin looking dry or dull. 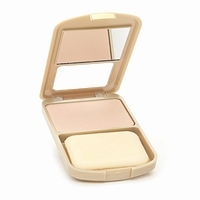 Anna’s makeup is always natural so she would enjoy the fresh and luminous finish that it gives and a powder that would not settle into fine lines or wrinkles. Day Look: Here’s a natural quick in easy day makeup look with a pink-cherry stain lip color that would be great for busy always on the go women. Evening Look: I would like to see a stronger lipcolor to glam up Anna’s look as she attends fashion shows and parties that many can only dream about. 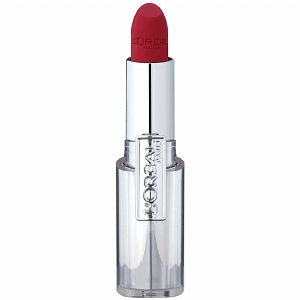 I think the Gwen Stefani Infallible Le Rouge lipcolor in Ravishing Red would be stunning on Anna’s skin. This color was a hit last month when I applied it on the ladies at The Royal Wedding Bash hosted by St. George’s Society of New York. 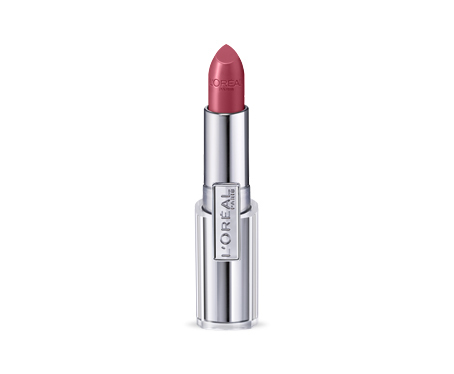 The Infallible Ravishing Red is actually a great color on all skin tones as I personally wear it myself. 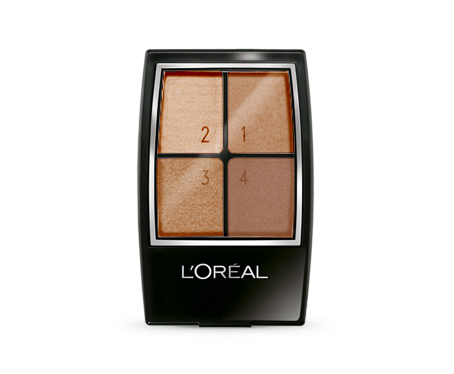 Let me, Celebrity Makeup Artist Brandy Gomez-Duplessis, show you how to achieve every great makeup look with L’OREAL Paris without paying more. Live, Love, Look Glamxurious…on a budget! Brandy Gomez-Duplessis is a Celebrity Makeup Artist in New York and is also a sought after makeup artist in New Orleans. This New York makeup artist has worked with celebrities like: Golden Globe & Oscar winner Melissa Leo, Kerry Washington, Kim Kardashian, Jordin Sparks, Erin Andrews, Edie Falco to name a few. Brandy has worked with New York top affluent and influential New Yorkers; St. George’s Society of New York, The Royal Wedding Bash, The English Ball honoring Burberry Angela Ahrendts, world renowned Event Planner Marcy Blum, NY award winning Ceci Johnson, Women of New York, Elan Artists, and The New York Library 100th Anniversary Gala. Brandy recently worked doing makeup at Sundance Film Fest, Mercedes Benz Fashion Week, NY Fashion Week, NBA All Star Weekend, Red Bull/ Red Bulletin Magazine, and much more. Keep up with Brandy by reading her personal blog “Inside the Life of a Makeup Artist” or follow her glamxurious tweets.